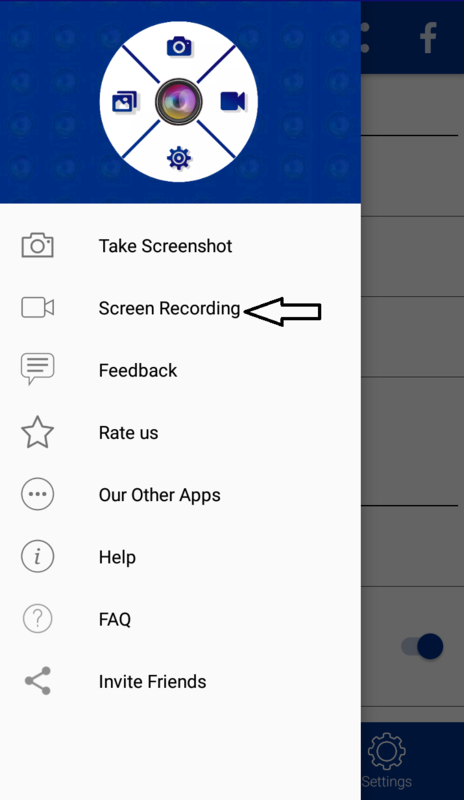 1. click on the top left corner to open a sidebar from there select "Screen Recording". 2. click on "start now" in the pop-up box for starting the process. 3. click on "Don't show again" to never see the popup-box again. 4. You can also record screen using notification bar and floating button.